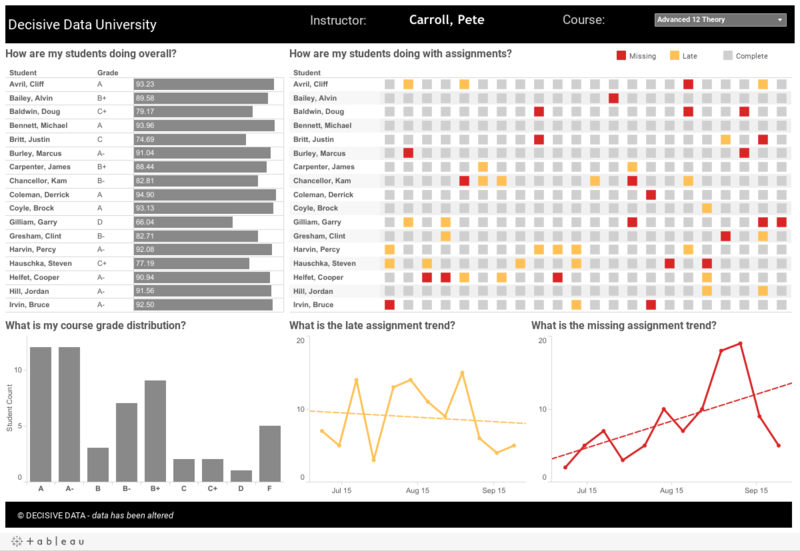 We developed a dashboard that consider key metrics among students, most importantly their assignment performance throughout the year. The dashboard met the clients’ needs to providing both a high-level overview of student performance as well as a more granular assignment view. Most importantly, it highlights key data points like missing and late assignments, which help teachers identify where they need to intervene to increase student performance. Performance data informs users and illustrates a student’s experience. Without this insight, users may not see important trends that call for intervention that could benefit a student. In this context, data can help teachers build relationships with students that may need more support in achieving their academic goals.